Direct access to a KCTS Manufacturing Consultant. Send us your questions on Lean, TPM, Six Sigma and general continuous improvement. We will answer within 4 hours. KCTS provides training programmes for all aspects of Business Improvement using TPM, Lean, Six Sigma and Operational Excellence. Our mission is to provide training solutions to support corporate programmes. Our pedigree in the training of TPM is based on detailed understanding of the subject and our wide experience across a range of industries. This expertise can be used to train throughout the organisation from Senior Managers to the Shop Floor. The most successful companies are those that can align their businesses and operations to fully service their customer's needs in the most cost effective manner. The obvious consequence of this is that companies who 'delight' their customers profitably will increase their competitiveness significantly. A Continuous improvement programme requires the development of an organisational infrastructure. KCTS recognise the importance of understanding the roles with the organisation and how they are supported in delivering the business objectives. We offer categories of training related to organisational roles and their use in the development and support of Business Improvement Programmes. Our practitioner training courses are aimed at Senior personnel and those who will be managing change within an organisation. 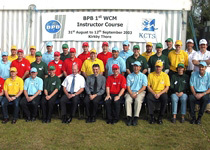 KCTS can also offer NVQ�s in Business Improvement Techniques. 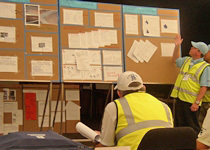 Step over the competition with the new Lean Qualification from KCTS.